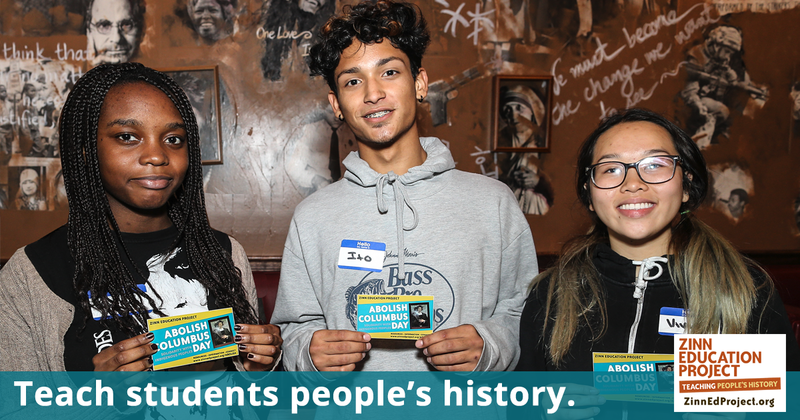 Your support is needed to help more students learn people’s history. 100% of Zinn Education Project funding comes from individuals like you. Read what teachers are saying and make your 501(c)(3) tax-deductible donation today. Note: All donations to the Zinn Education Project are tax-deductible. The Zinn Education Project is a collaborative effort of two 501(c)(3) non-profit organizations, Teaching for Change and Rethinking Schools. The donations are handled by Teaching for Change (federal tax ID: 52-1616482). All donations will be acknowledged with a thank you letter which includes a receipt for tax purposes.